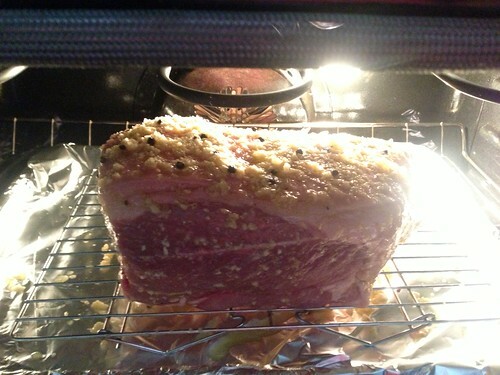 PIC: Sunday pork shoulder experiment. Wish us luck. Also, the house smells like garlic, originally uploaded by @jozjozjoz.